Fall is officially here because I have been doing a whole lot of leaf raking! But it IS one of my favorite seasons because of the color and it’s the season to make comfort foods like soup! 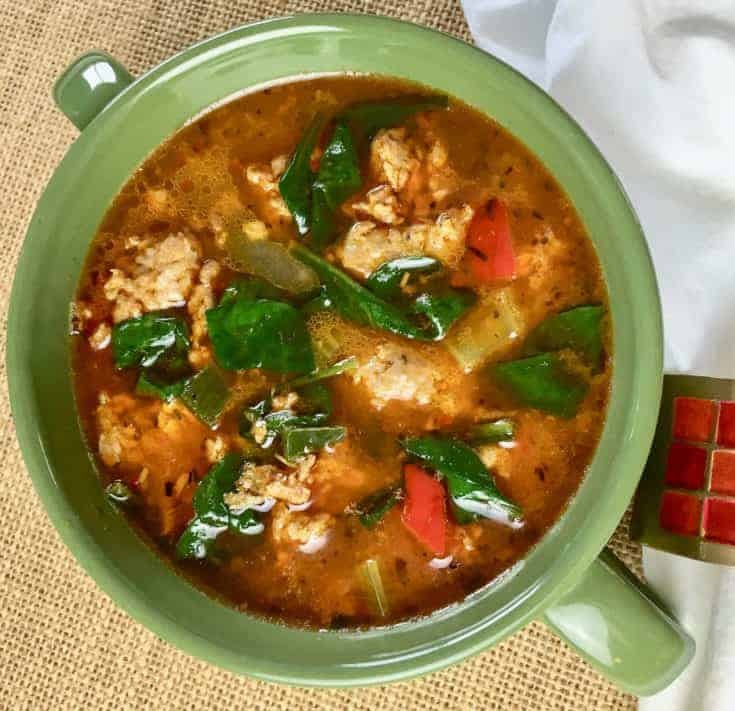 This delicious Keto Sausage Soup with peppers and spinach doesn’t need to cook all day (although it’s still perfect for a crockpot) to develop great flavor. Thanks to a heart and soul warming combination of classic herbs, spicy Poblano pepper, and a perfect blend of warm spices, this soup can deliver it’s magical goodness in half an hour! Can I cook this Keto Sausage Soup in an Instant Pot? Yes! I have included instructions for both stovetop and Instant Pot in the recipe card. Basically, you will use the Saute button for the veggies and sausages, then everything goes in on Soup mode! So easy! 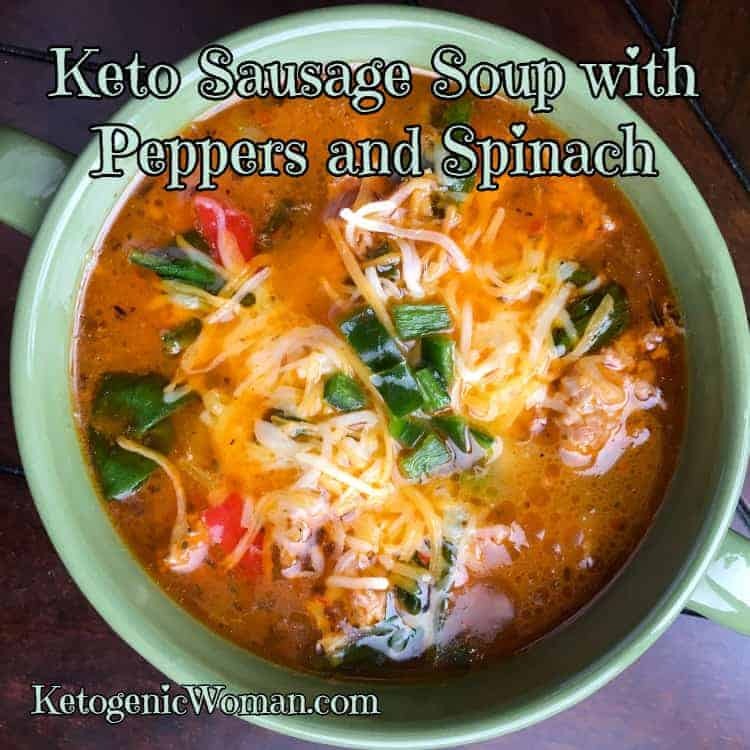 Keto Sausage Soup with Peppers and Spinach would be great as a soup appetizer or as a fully satisfying meal when paired with keto buns or a salad. Be sure to make extra because this soap only tastes better the next day! This delicious sausage soup doesn’t need to simmer for hours to develop great flavor. Thanks to a satisfying combination of spicy Poblano pepper, classic herbs, and an interesting blend of spices, this soup delivers lots of fantastic flavor in just over half an hour. Heat the olive oil in a large soup pot or Dutch oven over medium-high heat. Add sausage and stir the sausage until it is no longer pink inside, for about 5 minutes. As the sausage cooks, use a wooden spoon or spatula to break it up into bite size pieces. INSTANT POT: Do step 1 using the Saute button on your pressure cooker. Add the peppers and spices to the pot. Generously season with salt and black pepper to taste, and stir to combine. Cook, stirring occasionally, until the veggies have softened, around 5-6 minutes. FOR INSTANT POT: Add the peppers and spices, saute 1 more minute. Pour in the chicken stock and simmer for 20 minutes, stirring occasionally. Add the spinach and cook for another 4-5 minutes, or just until the spinach wilts. INSTANT POT: Add chicken stock and spinach. Latch the lid and set Instant Pot to Soup. INSTANT POT: When soup is done, allow 10 minutes of Natural release, then follow Step 6. Remove from heat and serve immediately, topped with shredded cheese and some additional diced Poblano pepper, if desired. 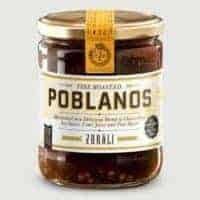 NOTE: Canned Poblano peppers can be hard to find. You can also have dried poblanos on hand and soak them in a little hot water to plump them up for use. 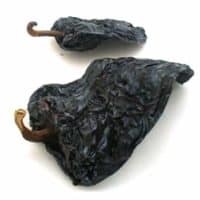 Poblano peppers are also called Ancho. You can also substitute with Anaheim Peppers. As an Amazon Associate and member of other affiliate programs, I may earn a small commission from qualifying purchases, but this does not cost you anything. Thank you for helping to keep this website up and running! Want more recipes like Keto Sausage Soup with Peppers and Spinach? Soups and Stews are simple and economical to prepare, and they’re easy to store away for quick lunches or dinners when there’s no time to cook. I’m a collector of cookbooks, I can never seem to get enough! 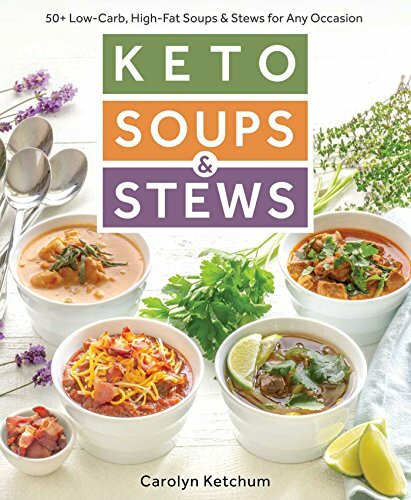 Soup Cookbooks would make a great Christmas gift for Keto and Low Carb people on your list! 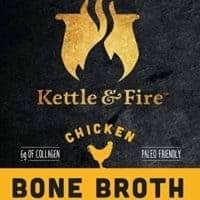 Tagged chicken, keto soups. Bookmark the permalink. Any other macros, nbesides carbs and fiber? Looks delish. Thanks! ha, sorry I haven’t had a chance to do that! I think I need to hire an assistant!